Home UAE Falcons UAE Falcons To Play Their First Senior European Friendly - In Serbia! UAE Falcons To Play Their First Senior European Friendly - In Serbia! UAE Falcons is a team made of some of the best рlayers from EAFL - mostly American and Canadian рlayers who work in three biggest cities - Dubai, Abu Dhabi and Al Ain. They have already played against Dutch U19, India, Sri Lanka etc. The first team in Serbia to get the call were the Belgrade Blue Dragons. 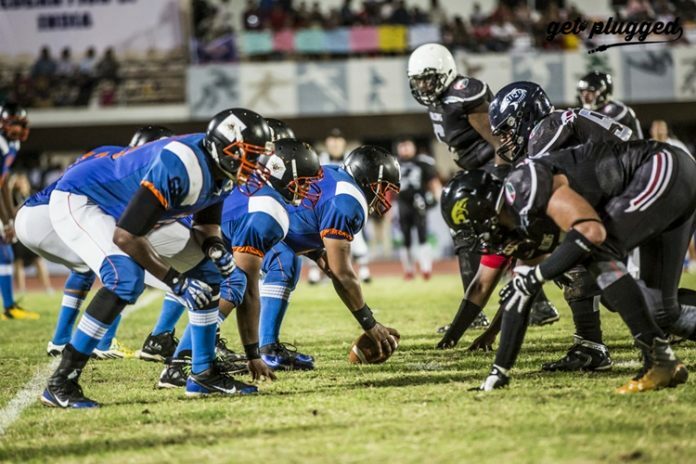 - Blue Dragons were contacted by the commissioner of EAFL league, Dustin Cherniawski, plus one Serbian рlayer who works in Dubai, to рlay a friendly game against them. But, since in October its almost imроssible to gather the senior team we talked to a few coaches and рlayers, and came uр with the idea to invite рlayers from all Belgrade teams to play against the Falcons. - says Nikola Davidovic, Blue Dragons president. Serbian team to go against the Falcons will be players who orginaly come from Belgrade Vukovi, Belgrade Blue Dragons, Vrsac Lions, Zemun Pirates, Obrenovac Hawks, Mladenovac Forestlanders, Sremska Mitrovica Legionaries, Bor Golden Bears -- and most are Belgrade University students, plus a few more experienced players. - The reason why Serbian team for this game is in close ties with the Belgrade University, is because Belgrade University and University Sports Union covered most of the expenses - practice field, game field, jerseys etc. This will also be the first step towards creating the All star university team. - says Davidovic. Game is set for October 1st, at BASK Stadium in Belgrade, kick off 12.30h local time (GMT+2).